It's mid-August and I'll admit that as much as I don't want summer to come to an end, I can't stop thinking of all-things-fall-decor. 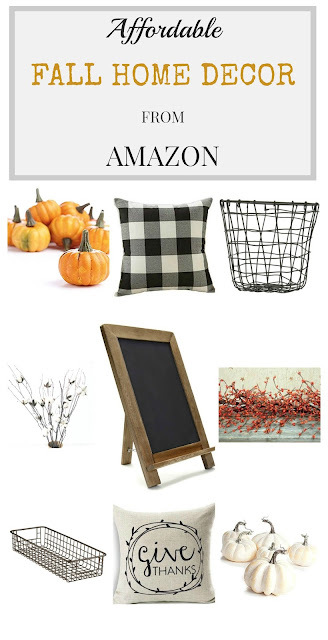 So, I thought I'd stop by today to share with you some adorable AND affordable fall home decor items that I've recently found over on Amazon. In fact, my first shipment of all-things-fall-fun is scheduled to be delivered by tomorrow evening! Want to see what'll be out on display in our home? Check these out! Orange AND white! Instant and easy fall tablescape! Ooooohhh - and how about this pretty garland that just screams, "fall!" Why not use this sweet little chalkboard to display your yummy fall menu for the week?! Or how about using it for a hot cocoa/cider bar! Let's be real, this little chalkboard could be used all year long! Here's a fun pillow for ya! I just ordered two of these! Check out this cute, "Give Thanks" pillow... Hello, Thanksgiving! These cotton stems would be fun to display during the autumn months and then again in the spring. You guys - I'm so excited to decorate for fall! How about you?! Do you have the itch? I smell a Fall Home Tour coming soon to a blog near you! Say whhhhaaaat?!? In the meantime, I'll try to contain my excitement for all-things-fall and enjoy what's left of these lazy summer days. 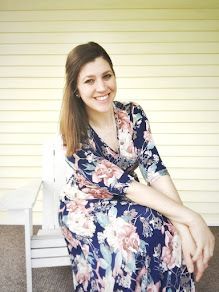 I'm linking up with the ladies of Tuesday Talk and Totally Terrific Tuesday.